Although a DUI is often associated with drunk driving, DUI means driving under the influence, whether it is through alcohol or drugs. There are often campaigns to raise awareness to stop drunk driving, but “drugged driving” inherits similar dangers. According to data from the National Highway Traffic Safety Administration, over 16 percent of drives during weekend, nighttime are tested positive for either illegal, prescription, or over the counter medications, and 11 percent are positive for illicit drugs. Furthermore, 18 percent of the drivers in fatal accidents are tested positive for one or more drug, legal or illegal. As a result, there needs to be an increase in public dialogue about “drugged driving”. And if you have loved ones who are abusing drugs, encourage them to receive treatments. In order to prevent any instance of your loved ones driving under the drowsiness of prescription medication, A-1 Home Care in Studio City is proud to provide quality services thousands of clients around Los Angeles and Orange County. You and your loved ones can enjoy services such as home helpers, short-term care, hourly home care, 24 hour live in care, companion services, personal services, and much more in home care needs. We operate in all areas of our communities, including the cities of Studio City, Burbank, Pasadena, Beverly Hills, Santa Monica, Malibu, Sherman Oaks, Glendale, West Hollywood, and many more cities in the Los Angeles and Orange County. We also have caregivers who are multi-ethnic and can cater to our clients, man of whom come from diverse backgrounds, such as Jewish, Middle Eastern, and Asian backgrounds. To inquire about services, please call 818-980-0094. Go online at www.studiocityhomecare.com for more information. & be sure to like us on Facebook! 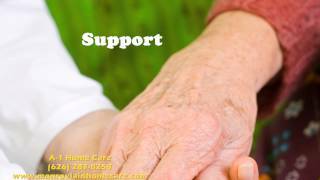 Categories: alzheimer care, Beverly Hills CA, cancer care, caregiver agency, caregiver service, elderly companion, home helper, in home care, nurse aide, Studio City CA | Tags: a-1, a-1 home care, cancer care, care at home, drug treatment, elderly care service, in home care service, in home care studio city, studio city at home care, studio city in home care | Permalink. The key to improving the quality of life for someone with Alzheimer’s is to plan ahead, understand the disease and the strategies in meeting the caregiving needs. Here are a few tips from the Alzheimer’s Foundation of America to guide you toward success when you are faced with such circumstances. First is to educate yourself about the disease to give you an expectation of what you might deal with when caring for your loved ones. Next is to learn caregiving techniques that can address safety, communication, and behavioral challenges. Another important factor is the necessity to take care of your own physical and mental health while providing care. Caregiver burnout is becoming a bigger problem as many do not take time for themselves, and eventually fails to provide proper care as they are too exhausted to apply the skills in caregiving. It is also a good idea to discuss your situation with friends and families to have a reliable support system when needed. Lastly, you are doing this because you love the person, so keep smiling out of your kindness, and think positive to provide the strengths you need to get through difficult times. If you don’t think you can handle caregiving duties, or there is simply not enough time to do so, A-1 Home Care in Studio City offers experienced and skilled caregiver service for seniors needing Alzheimer’s Care, Parkinson Care, After Surgery Care, Incontinence Care, Arthritis Care, Cancer Care, and other elderly care services. We serve in the surrounding neighborhoods of Burbank, Glendale, West Hollywood, Beverly Hills, Santa Monica, Malibu, Sherman Oaks, and many more cities in the Los Angeles and Orange County. Call 818-980-0094 today to begin Alzheimer Care, or visit Studio City In Home Care to learn more about our other services. Categories: alzheimer care, at home care for elderly, Beverly Hills CA, cancer care, care for elderly in home, care provider, caregiver agency, caregiver service, dementia care, elderly care, elderly companion, home helper, in home care, nurse aide, senior care, Studio City CA | Tags: a-1, a-1 domestic, a-1 home care, after surgery care, alzheimer, alzheimer care, at home care, cancer care, care at home, caregiver at home, caregiving service, elderly care service, in home care service, in home care studio city, non-medical home care, senior care, studio city at home care, studio city in home care | Permalink. Never look at clinical trials as serving just guinea pig, because that is certainly not the purpose of such trials. Many are the final stages of a drug development process, and could be critical in the process of finding a cure for different diseases. Here are a few facts from the Michael J. Fox Foundation about clinical trials. Not all clinical trials test new drugs, and some are observational trials aimed to understand the disease better. In addition, there are also alternative treatments trials such as acupuncture, exercise, and even video games to improve functions of patients . It is also important to note that participating in clinical trials is supplementing the standard care you are already receiving. Lastly, participating clinical trail is the equivalent to volunteering, and participants are protected by the patient’s bill of right that enables you to end your participation anytime. 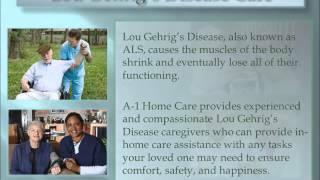 A-1 Home Care in Studio City understands what individuals go through after treatments and clinical trials, and help is needed at home. 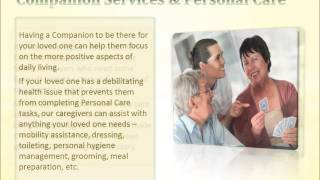 We offer in home care services with flexibility in mind, offering 24 hour live in option as well as hourly care. If you live in the areas of Glendale, Pasadena, Burbank, Hollywood, Beverly Hills, Sherman Oaks, and other cities in Los Angeles and Orange County. 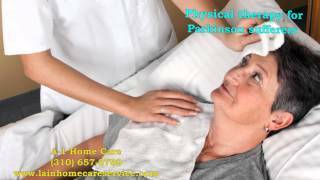 We offer customized care for any needs, from Parkinson Care, Arthritis Care, Cancer Care, After Surgery Care, Alzheimer Care, and much more in home care for seniors. Call 818 980 0094 today to begin care, or visit Studio City In Home Care to better know our services. 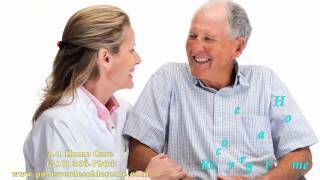 Categories: alzheimer care, at home care for elderly, Beverly Hills CA, care provider, caregiver agency, caregiver service, elderly care, elderly companion, in home care, senior care, Studio City CA, Uncategorized | Tags: a-1, a-1 domestic, a-1 home care, care at home, caregiving service, elderly care service, in home care service, in home care studio city, senior care, studio city at home care, studio city in home care | Permalink. An increasingly amount of men and women are coming to their retirement ages. Without their professionally responsibilities, there is an abundance of free time that these elderly people need to fill. Developing a hobby takes time, and make working women don’t have a go to hobby as a result. For those looking for some inspirations, here are some of the common fun activities that retired women enjoy. From scrap-booking to quilting, crafting can tap into their creative minds, challenging them to make something beautiful. A lot of seniors also choose to continue learning. As we are immersed in our professional lives, we don’t expose ourselves to new topics and ideas as much as when we were younger. So when seniors get a chance to learn again, many choose to embrace such opportunities and find courses to take locally. Finally, we are often forced to be confined in the areas that we live in due to work, restricting our time to explore the world. Once a person retires, they have all the chances to see the world without worries. There are many travel groups designed for seniors and elderly to socialize and travel together at an affordable rate. If the elderly can find something that they enjoy, it can definitely lead them to a more stress free and enriched life. To take the burden off seniors at home, A-1 Home Care in Studio City offers excellent caregivers to provide support and assistance at home for them to truly enjoy their retired lives. We understand that there are different ailments that are beginning to show up for your loved ones, so we specialize in Brain Injury Care, Alzheimer’s Care, Parkinson Care, Multiple Sclerosis Care, Incontinence Care, Arthritis Care, Kidney Disease Care, Cancer Care, and other elderly care services. Since 1991, we have proudly covered the areas of Studio City, Burbank, Beverly Hills, Malibu, Sherman Oaks, Santa Monica, Glendale, West Hollywood, and many more cities in the Los Angeles and Orange County. Enjoy the expertise of caregivers such as Tina Gowdy and Roehl Esquillo by calling 818-980-0094, or visit Studio In Home City online or check out our Facebook page. 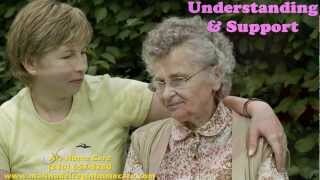 Categories: alzheimer care, at home care for elderly, care for elderly in home, caregiver agency, elderly care, in home care, senior care, Studio City CA | Tags: a-1 domestic, a-1 home care, care at home, caregiving service, fun activities, fun activities for seniors, in home care for seniors, in home care service, in home care studio city, studio city at home care, studio city in home care | Permalink. The older we get, the more reluctant we are to get on our feet. In fact, those over 65 tend to spent up to 10 hours inactive per day, making this the most sedentary age group. Muscle strengthening, coordination, and endurance are all important aspects that factor in to daily living and can prolong a healthy life and independence. An upcoming exercise that reduces that fear of injury doesn’t actually take place on land, but in water. Due to the buoyancy, the water can carry up to 90 percent of your body weight and allow better circulation which in turn lubricates the joints and provides a cushioning. Those with medical conditions such as arthritis and osteoporosis who face difficulty in getting exercise should consider water aerobics as a solution. Additionally, the benefits double than that on land. Because of the density, the water’s resistance engages the muscles allowing for a more fulfilling work-out. Remaining active is vital to perform even the simplest tasks such as turning your head to check a blind spot or play with your grandchildren. For those who face adversaries in keeping up with day-to-day routines, A-1 Home Care in Studio City can resolve the issue. Licensed, bonded, and insured, we provide qualified caregivers such as Tony A. Open 24/7, our services can be found all around Southern California such as Encino, Sherman Oaks, and Hollywood. Our care ranges basic to special needs like Parkinson’s care, Dementia care, and after-surgery care. 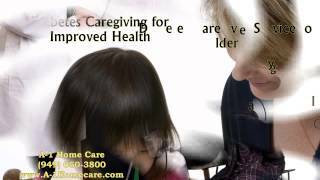 Call (818) 980-0094 for a free in-home assessment or visit studiocityhomecare.com today. Also, don’t forget to like us on Facebook! Categories: after surgery care, alzheimer care, cancer care, care for elderly in home, care provider, caregiver agency, caregiver service, dementia care, elderly care, elderly companion, home helper, in home care, senior care, Sherman Oaks CA, Studio City CA, Uncategorized | Tags: a-1 home care, after surgery care, care at home, caregiving service, elderly care service, exercises for elderly, in home care studio city, studio city at home care, studio city in home care, water aerobics, water exercises | Permalink.